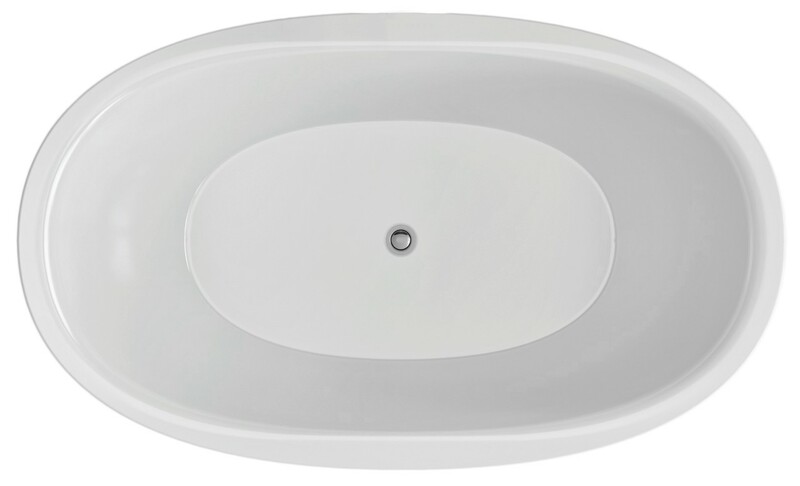 The Purescape 171 Mini is the sister bathtub to Aquatica’s new and improved successor of the Purescape 170, the Purescape 171, only in a smaller, lighter and more compact version. Crafted, designed and manufactured in Italy using our ground-breaking EcoMarmor™ composite, this bathtub is the perfect blend of clean lines, light weightiness, and contemporary styling. This freestanding bathtub is one of Aquatica’s deeper tubs, headlining that same ergonomic interior as the Purescape 171. 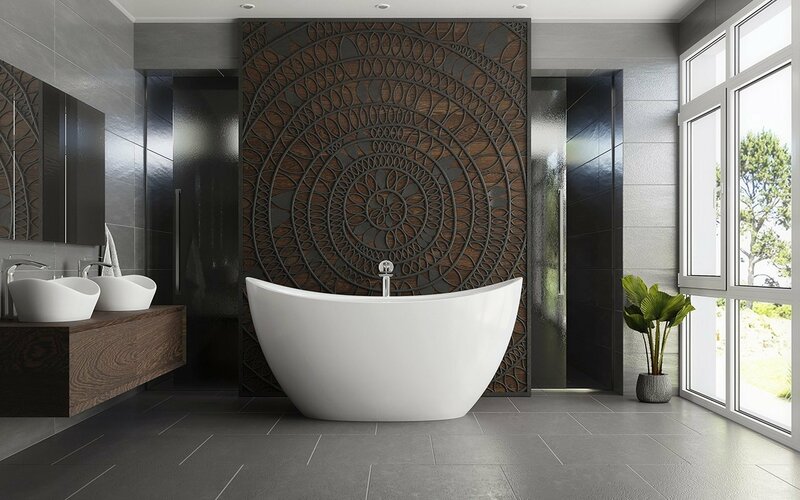 Featuring a sculptured built-in headrest this comfortable freestanding bathtub will allow bathers to have a relaxing full body soak, as well as provide couples the intimate luxury of bathing together. Our unique design for this bathtub was inspired by the depths and curves of vessel boats, making this tub bold in form and design, yet also refined with its sculptured elegance. The Purescape 171 Mini will add a subtle beauty to any en-suite bathroom scheme. Can be made in high gloss/matte finish. Made as a lighter-weight EcoMarmor™ alternative to its older and bigger AquateX™ sibling, the Purescape 171 the Mini stone slipper tub boasts a long list of its own class-leading features like the 19.5-inch (495 mm) water depth, and roomy interiors at very low NET weight of only 185lbs (84kg). The Purescape 171 Mini freestanding bathtub is the deepest and roomiest 60”+ size stone slipper bathtub in the market and allows even the tallest of bathers to have a relaxing full body soak, as well as providing couples the luxury of an intimate bathing experience together. One must see it to appreciate its sheer size and comfort! 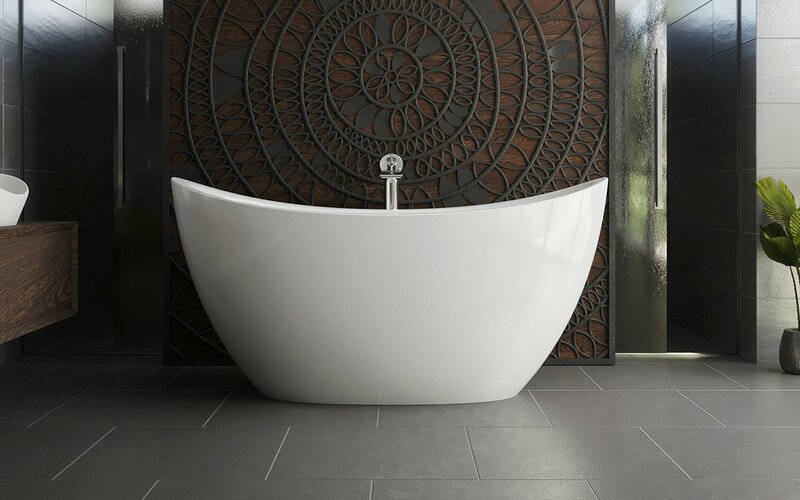 The Purescape 171 Mini freestanding stone bathtub features roomy interior with a sculptured built-in headrest made of our signature EcoMarmor™ surface. A wide, rounded rim - conceived by Aquatica's industrial design team for bather safety and convenience. The Purescape 171 Mini stone slipper bathtub features a wide, rounded rim which bathers can sit or lean on safely while getting in and out of the bathtub. 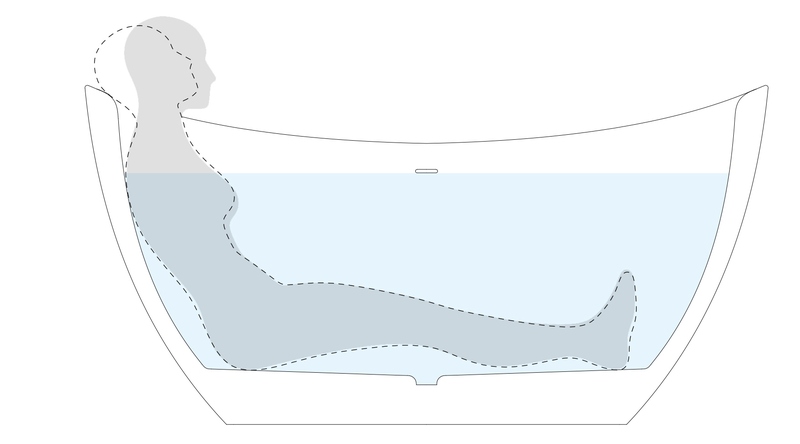 Designed for relaxing full body immersion, the most distinctive feature of the Purescape 171 Mini freestanding tub is its class leading water depth with sculpted-in neck and back support. 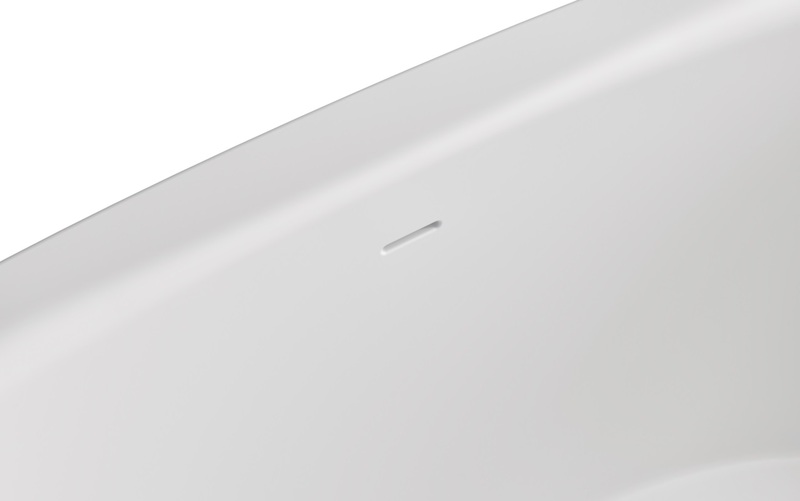 Discretely integrated and concealed overflow channel further adds to its unmatched charm. We are absolutely delighted with our Purescape Mini! It’s so rare to find a product that delivers on what it promises and then exceeds your expectations. 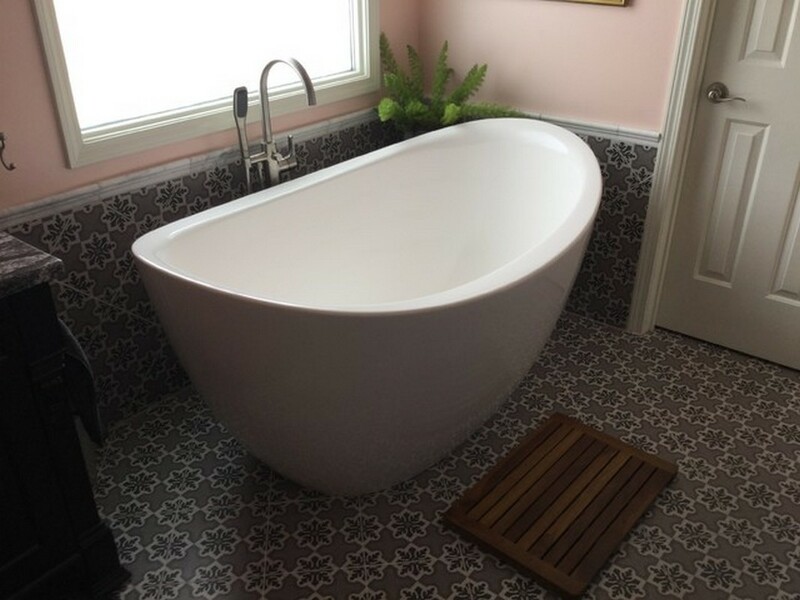 This beautiful freestanding tub is the centerpiece of our new bathroom. But it’s not just beautiful, it’s incredibly comfortable. I’m 6’2” and have no problem stretching out. 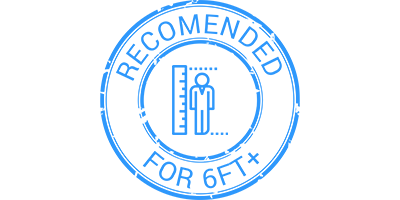 The customer service was, by far, the best experience we had among the countless products we purchased to complete the project. I would recommend these tubs to anyone. When they say ergonomic, they mean it. So comfortable we don’t need a pillow. Worth every penny.